Award-winning developer and publisher Gaijin Entertainment announced today that they will support the NVIDIA SHIELD tablet – the ultimate tablet for gamers – with their mega-hit War Thunder. The SHIELD tablet is the first Android-based device that can run War Thunder natively in parity with PC and video game consoles. The SHIELD tablet includes the world’s most advanced mobile processor, the 192-core NVIDIA Tegra K1. It’s the only device capable of running today’s AAA video games such as War Thunder without hiccup or stutter. The SHIELD tablet will allow War Thunder fans to take the WWII blastacular experience with them on the go, using a specially created control scheme for the touch screen. When in need of a TV screen experience, players can connect via HDMI and enjoy War Thunder using the high performance, precise SHIELD wireless controller with ultra-low latency Wi-Fi direct. 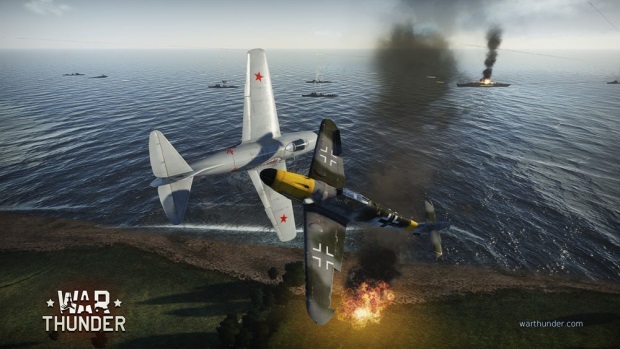 No launch date has been announced for War Thunder on the SHIELD tablet, but Gaijin Entertainment can confirm that War Thunder will remain a free-to-play, cross-platform, massively multiplayer military masterpiece, that allows players to fight their way across air and ground with access to over 400 historically accurate planes and armored vehicles. Fans can expect hundreds more added as Gaijin Entertainment commits to ongoing development via regular updates. Play MapleStory for a Chance to Win Free Tickets to See GOT7 in the U.S.
Side-scrolling MMORPG MapleStory is officially sponsoring the Kpop group GOT7's World Tour, "Eyes on You"
Over $500 in prizes awaits the first three players to crash Hailan Rising servers during "Wreck it Week" open beta.